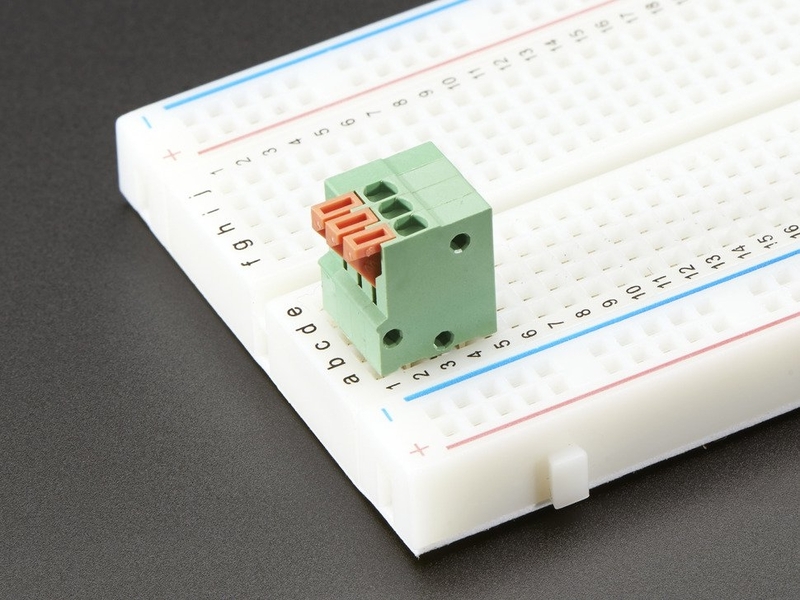 Spring terminal blocks will simplify your wiring and make your project more rugged. 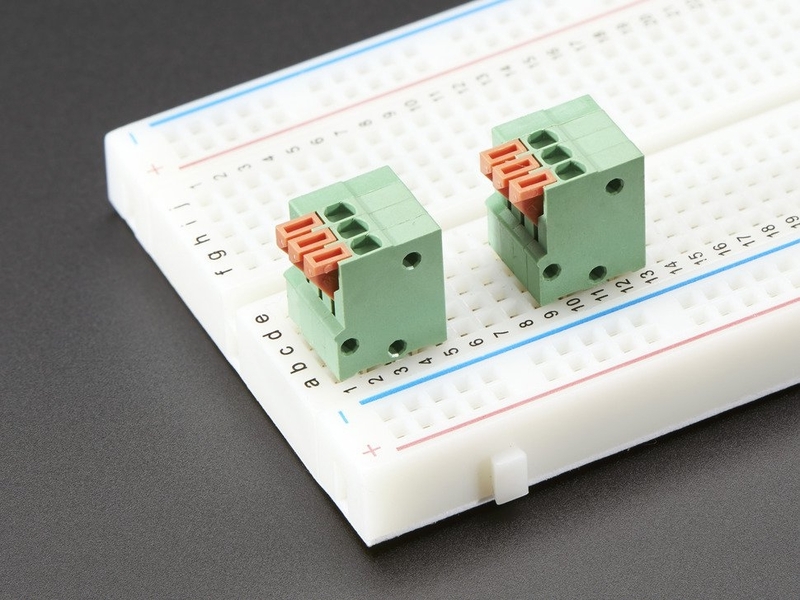 Instead of soldering wires to your perf board, solder in these 0.1" pitch terminal blocks. 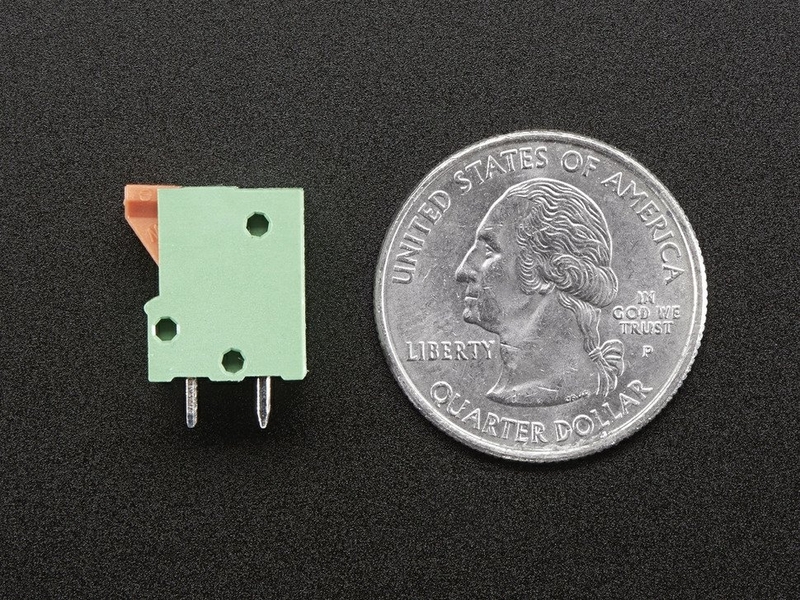 There's a little spring contact so you can pull back on the plastic bit and slip in your 20 to 26 AWG solid or stranded-core wires. Each terminal block is electrically isolated from those next to it. 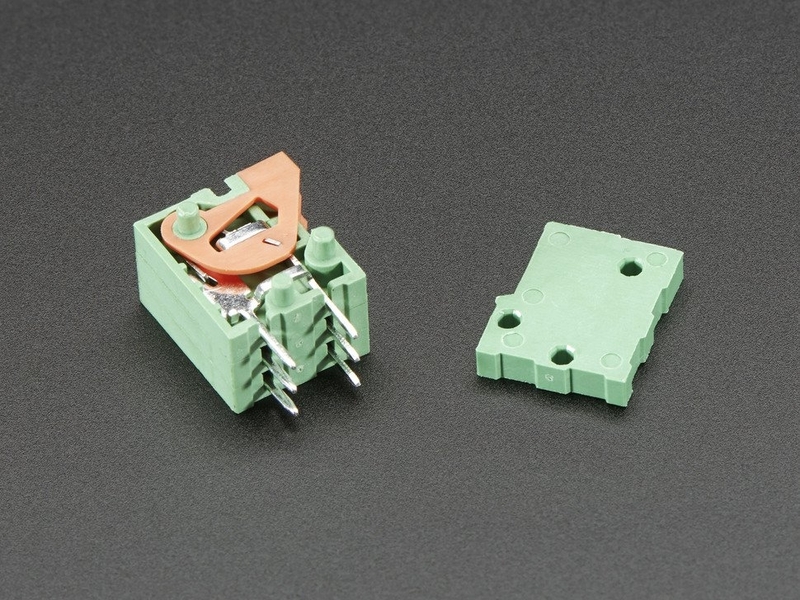 Each block also has two solder pins per contact for strong mechanical strength when soldering in place. These are the "straight" style - the wires go in from the top. We also have "right angle" style if you want the wire to go in from the side. What we like about these terminal blocks is that they are re-configurable! 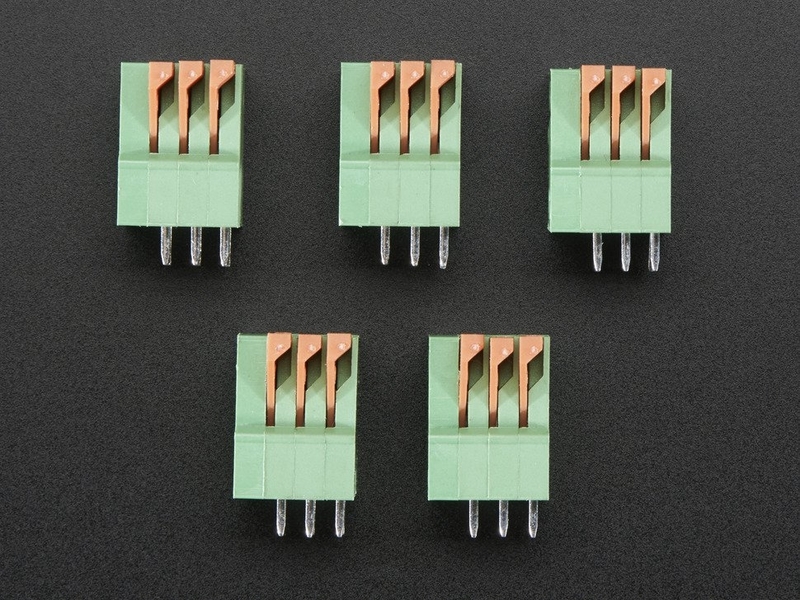 The pack comes in a set of 5 pieces of 3-pin blocks. However, by carefully removing the end cap on each one you can snap together any number and then reattach the end cap. So you could use this to have 5 x 3 pin contacts, or 1 x 15 pin contact, or 3 x 5 pin contacts, etc. Keep these around in your toolkit, and arrange them as needed!